PUBLISHED: 11:22 17 January 2019 | UPDATED: 11:31 17 January 2019 Daniel Whytock Today, shoppers want the best of the on and offline world. Picture: PAUL GEATER Archant Daniel Whytock from www.downyourhighstreet.com discusses what tech is likely to impact the retail sector in the coming years. 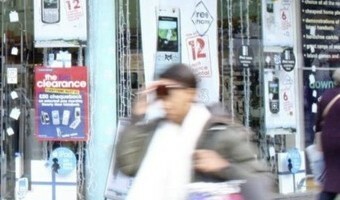 Retail tech is moving fast and high street retailers must act or get left behnind . Picture: GREGG BROWNIs online shopping truly causing the end of high street shopping? Amazon is investing in brick and mortar stores, which suggest that the high street still has a place in our shopping future. As consumers we want the best of both on and offline worlds and more: convenience, choice, and a diverse range of shops and businesses.As grim as things appear to be on the UK high street today, there is a way back - omni-channel retail that seamlessly integrates digital technology is the key to high street survival.But retail tech is moving so quickly that if high street … [Read more...] about How can high streets retailers make best use of technology?